I thought, What do seconds do after hours? And I thought, Minutes are here to go. too late to turn the page. 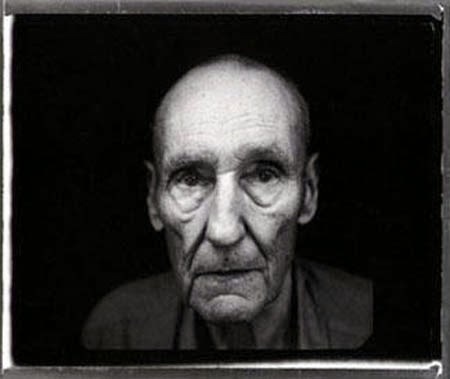 so, here we find ourselves, february 5th 2014; one-hundred years to the day since the birth of one william s. burroughs, often cited as being one of the most important cultural figures of our modern, meaningless age. for my own part, he is a literary figure of such overwhelming magnitude that i find it hard to describe the world without feeling his influence. i am moved to word some lines in marking this momentous occasion and would let myself reflect a little while on his profound importance, his methods and his immense legacy of influence that permeates western culture to levels which the unadept would be entirely unaware. while i have a very good memory for dates within my own lifetime, i allow myself to maintain a broad, general view of the overall passing of time, and was therefore not anticipating this anniversary in any particular fashion. 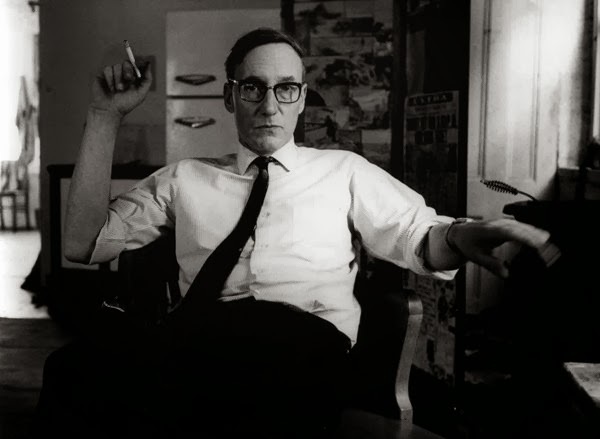 i am always celebrating the work of burroughs, and have been doing so for more than twenty years and so, this marking of one-hundred years only serves me as a continual daily reminder of his effect on my view of the world, and indeed on my own writing itself. but how it does give pause to an ideal opportunity to be able to express a few of the facts in the case on my take of this all-powerful writer and perhaps offer some closer insight into my own relationship with his work. still, in not anticipating this anniversary, i come to this page completely unprepared, having not already outlined some masterful concept for a critical essay, but surely i would much rather prefer to write off-the-cuff, based only on the thoughts that have come to me as i have made my way through this day so far; images drifting in, moments of keen importance in my exploration of his work, moments where i have clearly understood a way of thinking, of presenting facts, information, of viewing the world. there is nothing more real than allowing the words to fall as they will, completely free of the need to impose a structure that only restrains, rather than contains the whole. 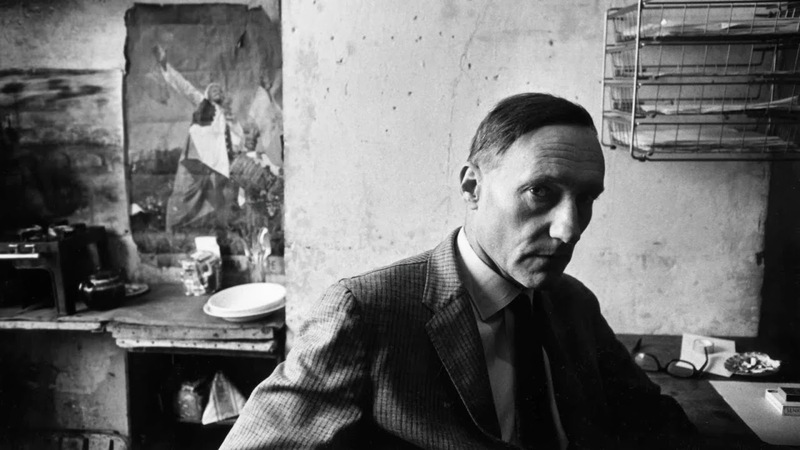 william s. burroughs revolutionised writing for me by revealing that there need to absolutely no rules whatsoever; there is no one way to describe anything, there is no one way of going about putting words onto a page. all rules should be observed, naturally, but they are simply rules, not law, not the natural law. language comes in myriad forms, each one able to describe itself and the world around it; each one able to twist and contort itself to fit any meaning, to fit any way of conveying the sense of being in a certain space/time and exactly what it is like. there can be no certain approach to one’s own path through language, each individual extracts their own truth, their own way to describe their beliefs and feelings and any given moment in space/time. 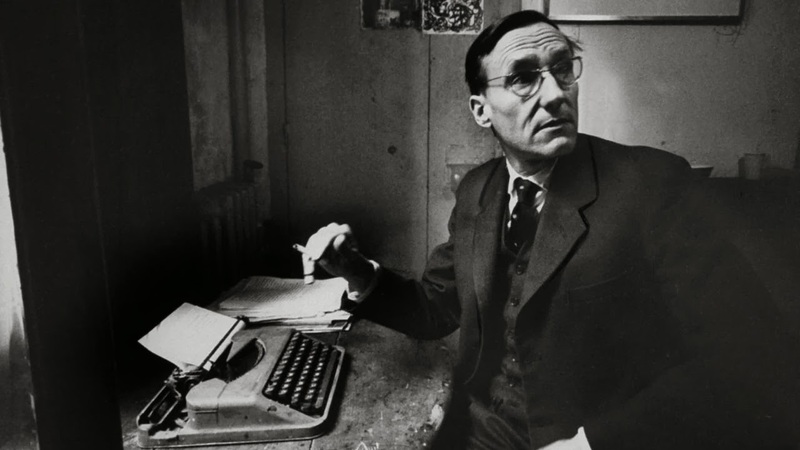 in strict literary terms, burroughs excited me, as he revealed to me that the ‘novel’ as it stands does not need to be the beginning, middle and end of the written word. the standard novel, like the standard hollywood movie is pure escapism in the form of storytelling. it is a neatly-packaged bundle with a beginning, a middle and an end, spanning a short amount of real-time and offering a nice tidy-bow to top off the happy ending, or perhaps sombre, or even ambiguous ending, to leave us closing the book or exiting the movie theatre with whatever desired emotion was on offer in that particular outing,. this is naturally a very skilled art, to tell a story, to load it with philosophical meaning, or a candy-lining and to entertain the reader/viewer in calming distraction from their real life. which is exactly the point. the standard novel is not real life. it does not follow the patterns of real life, it is a filtered-down version of a linear version of events that is neatly laid-out to offer enough answers and questions in an allotted amount of time to sustain interest. but, for all the craft involved, this is far too neat a package to be working with, this is far too restricting in its overall layout and structure. so rarely in a novel, in a movie, do the characters talk about anything that has ‘no relevance’ to the development of the story, never will you hear tell of a character that at one point doesn’t appear and introduce themselves. never are you offered the strange tangents that real life reveals minute by minute during the actual waking day in this modern, meaningless world. this is what burroughs could offer, could begin to shed light on, especially in beginning his oft-mentioned cut-up experiments with brion gysin. this ability to cut in and out of the narrative with other narratives, other thoughts, other suggestions, all intertwining within themselves, cutting in and out of themselves as do the thoughts in our own minds, the language streams in our own minds as we going about the linear task of progressing through the space/time of any individual day. burroughs was cutting all the thought lines together and putting them directly onto the page, he was generating real thought and therefore a real narrative, without stooping to try to impose any narrative, into shaping anything into a neat little bundle. he was letting go, and thereby seizing the ultimate control on his writing, by letting it slip through his fingers, by not grasping the grains of sand. the much more interesting version of any standard novel or motion picture would of course be the reactionary glimpse within the mind of any given reader/viewer. the best-seller/blockbuster begins. we are looking out across the shimmering skyline of a fashionable city and a popular song is playing over the credits; immediately the viewer is taken back to a moment in their childhood by the momentary glimpse of a certain style of truck seen from a distance crossing an intersection; they are with their father for a moment on a june afternoon, the pop songs suddenly takes them to a party they attended the winter before, a name in the credits reminds them of a friend they went to school with and hadn’t seen in years. these streams of flitting connexions would be infinitely more fascinating than the book/film about to unfold. still, all of this is well and good, but without the power to be able to adequately control the words in this fashion, to be able to present interesting enough materials to be able to sustain such an ongoing experiment is where burroughs’ experiments turn to a consistent and unrivalled display of genius, as seen nowhere else in the western english-language literary world since his appearance on the scene. burroughs consistently and all-encompassingly dazzles and staggers with his unbridled imagination, his ability to conjour the most fantastic, absurd, beautiful, foul, mesmerising, satirical, darkly-comedic view on such a wealth of topics that one can simple do little more than be entirely overwhelmed by his incredibly masterful approach to writing. it is this masterful approach which allows him to affect so many with his words. for all that is written of him, for all the lurid press and talk of the terribly graphic and unsavoury imagery and language in his works, it is very likely only burroughs that can create a context and work with this material in a way which transcends all the criticism directed towards this lurid side of his prose, and demonstrates how he is able to hold a mirror up to the modern world and let it wallow in the grotesque filth of its own doing, whilst still being able to generate a wry smile and a gentle nod of understanding in the midst of staggering tales of high adventure and myriad hallucinatory moments in lands both imagined and as real as our perception of them.